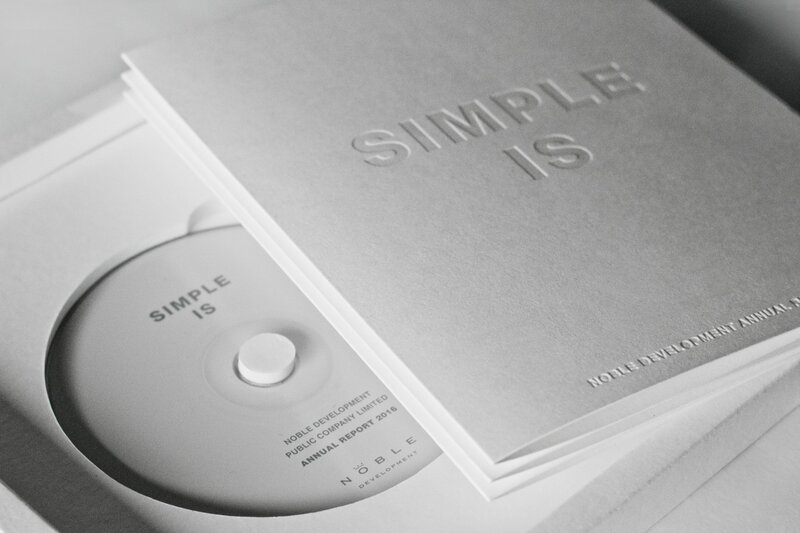 In 2016, the company launched its newest residential compound Noble Ploenchit under the philosophy ‘less is more’. 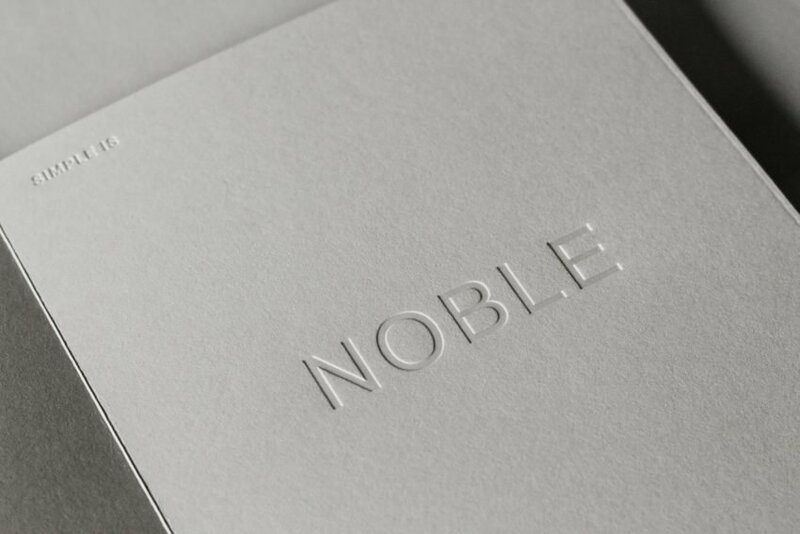 Noble Ploenchit’s beauty stems from extreme clarity and simplicity— characteristics that differentiate Noble’s buildings from the rest of Bangkok flashy cityscape. 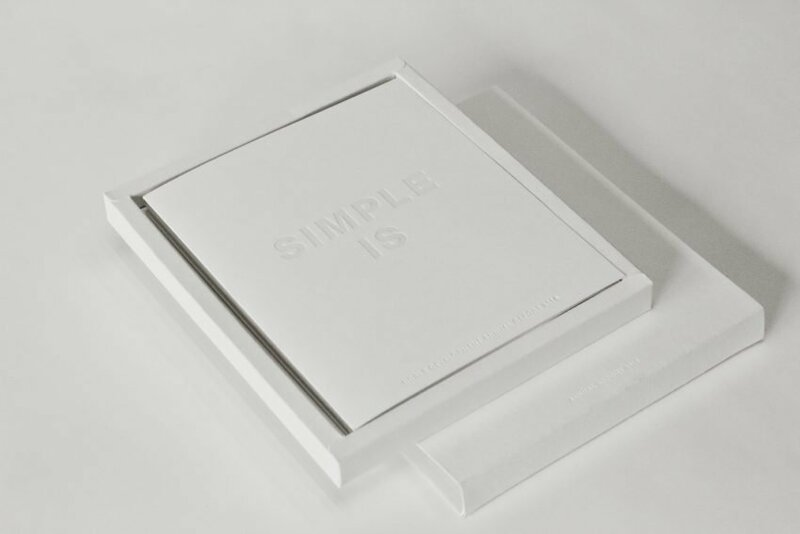 With that in mind, the 2016 Annual Report was developed under the concept ‘Simple Is …’. 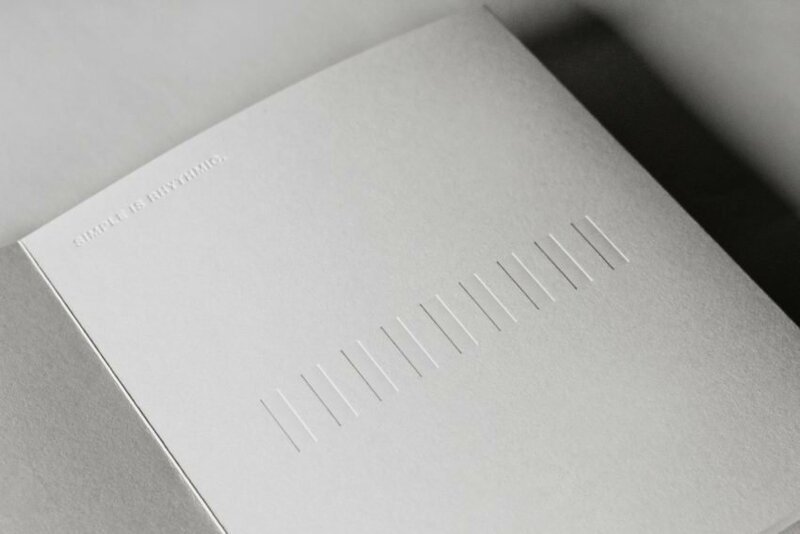 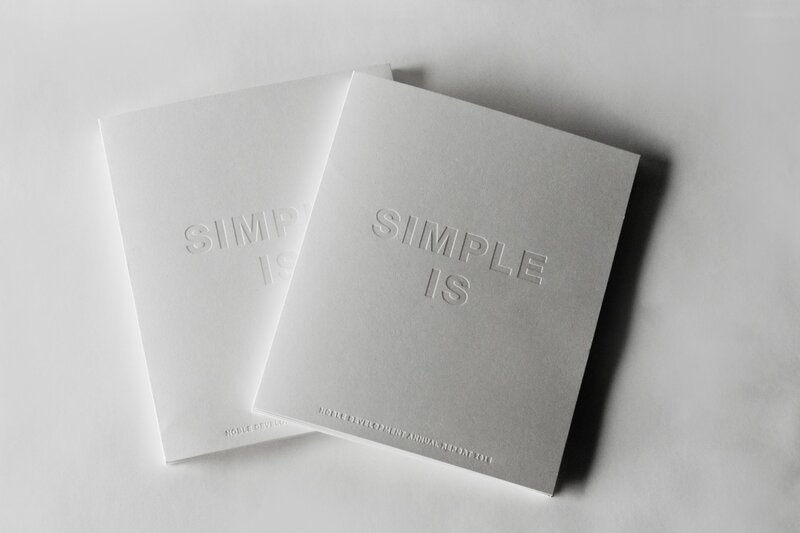 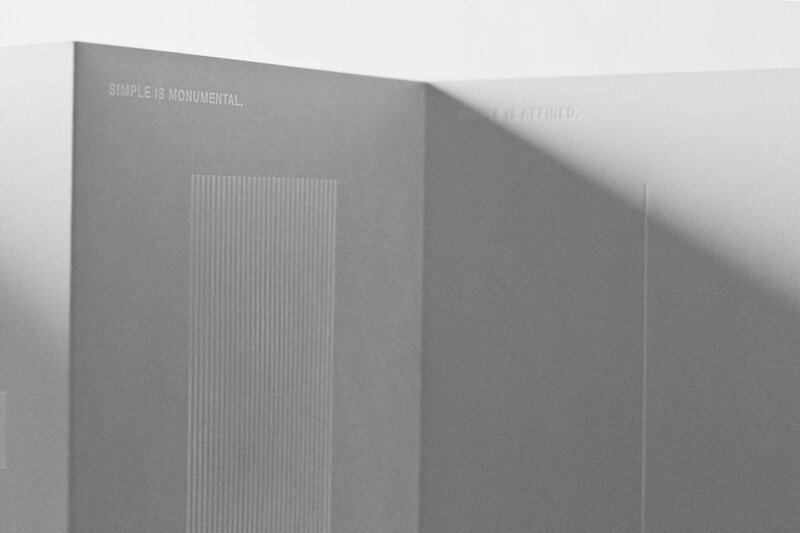 Articulated through its form and copy writing, the report breaks down the definition of simplicity. 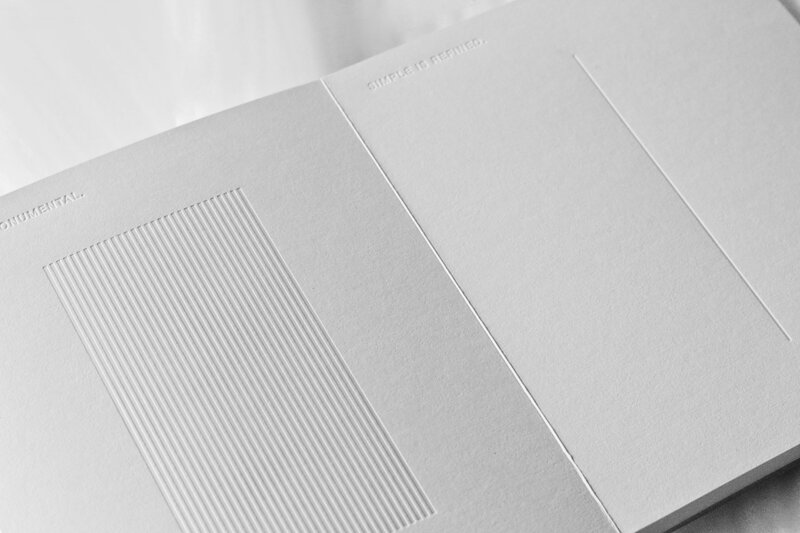 Its accordion form and hot stamping technique create shape, light and shadow without using any additional ink or thread. 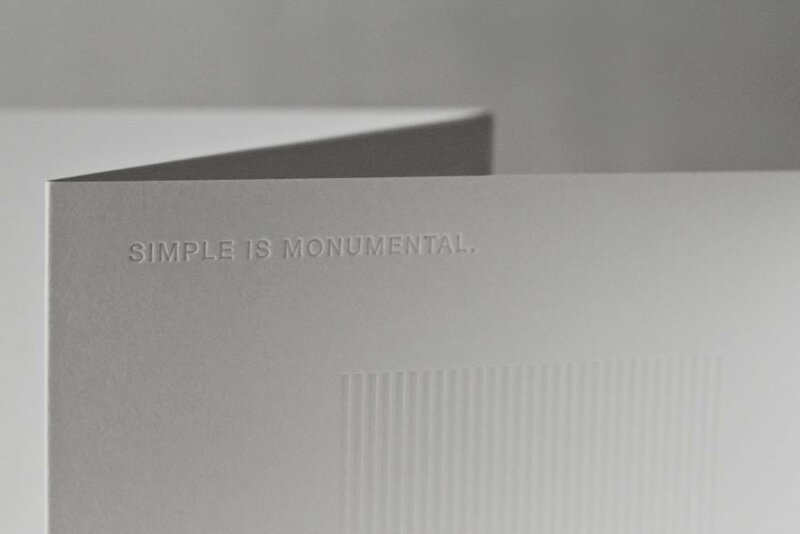 Typography is content presented honestly where as symbolic graphic elements are illustration pared down. 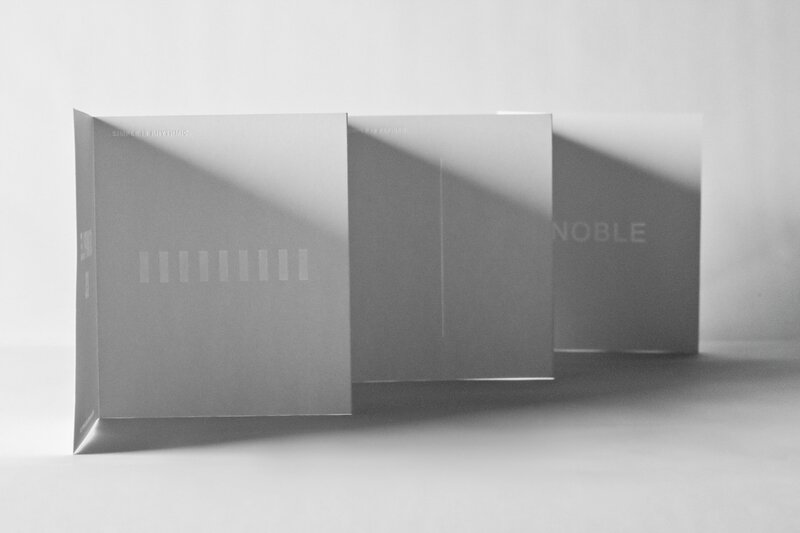 Together, they resonate the essence and the architecture of Noble Ploenchit.